Puzzle Pirates Forums - View Thread - What Rum?! 's first ever yard sale! Forums » List all forums » Forum: Obsidian Events » Thread: What Rum?! 's first ever yard sale! All remaining items 20% off original pricing! Please join us for What Rum?! 's first ever yard sale! 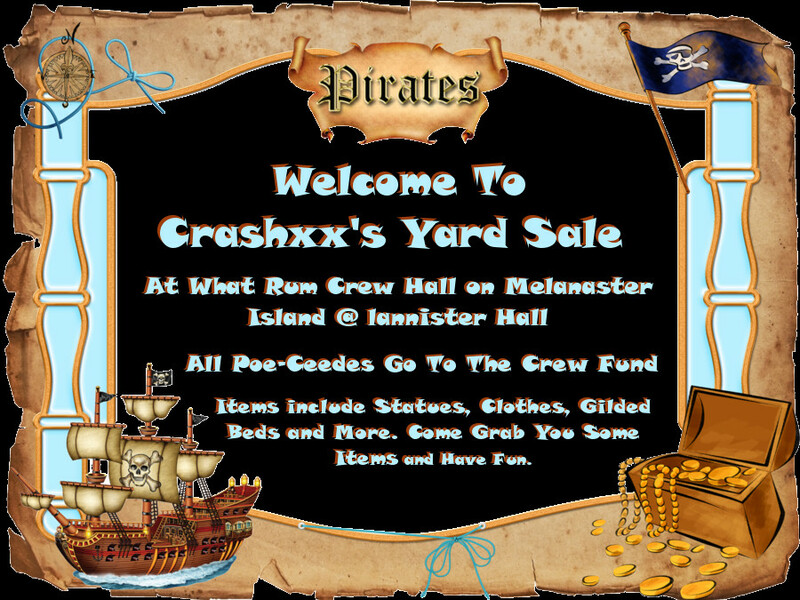 The sale is taking place at our crew hall on Melanaster. Please let anyone in our crew know if you would like to view available items in our yard. The main sale day is Sunday, March 10, ending at 3pm game time. You can message Crashxx in game at any time you see her on prior to that though. The buyer who spends the most poe during the sale will receive a gold big cat. Happy shopping!